Sometimes, women will experience breakouts of acne during pregnancy. Women who have previously suffered from acne may see a worsening of their condition in the first trimester of pregnancy. Even women who were previously clear sometimes see acne form during this time, both on the face and sometimes on the body as well. This is due to changes in hormone levels. Anytime hormone fluctuations occur, acne can develop or worsen. Typically there is a respite during the second and third trimester, and often acne will subside considerably. Then, about three months after delivery, new mothers may see yet another occurrence of acne as their hormones return to pre-pregnant levels. Acne is an external manifestation ofan internal imbalance that leads to overproduction of sebum (skin oil) bysebaceous glands. This extra sebum together with dead skin cells creates anideal condition for bacterial growth which can promote inflammation. The firststage of acne usually starts as oily skin; the next stage is the appearance ofcomedones (white heads and black heads). Although there may not be a viable solution to preventing acne from occurring, there are medicinal and home products that can treat pregnancy acne. You can talk to your physician about topical treatments. You may also be able to use creams that contain erythromycin or other antibiotics — as long as they’re cleared by your practitioner. Most doctors discourage the use of Accutane during and after pregnancy. Accutane does contain isotretinoin which is highly teratogenic that can cause birth defects. It is absolutely vital that women who plan on becoming pregnant or who are already pregnant avoid any products containing isotretinoin. Managing acne can be tricky, especially for expectant mothers. That's because many prescription and over-the-counter treatments come with a high risk of birth defects. In general, you should avoid any medication you don't absolutely need when you're pregnant that has even a remote chance of harming your baby.AcnEase is a most effective botanical therapeutic skincare product that treats existing acne and prevents new cysts and pimples from forming during pregnancy. 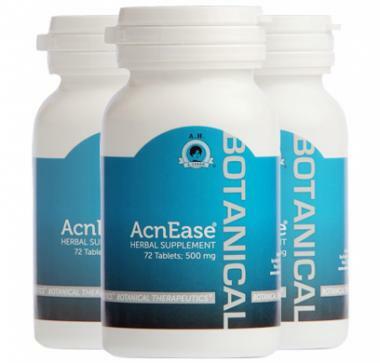 AcneEase can naturally treat pregnancy acne without risking the health of the mother and unborn baby. AcneEase is also safe to use among nursing mothers as well.